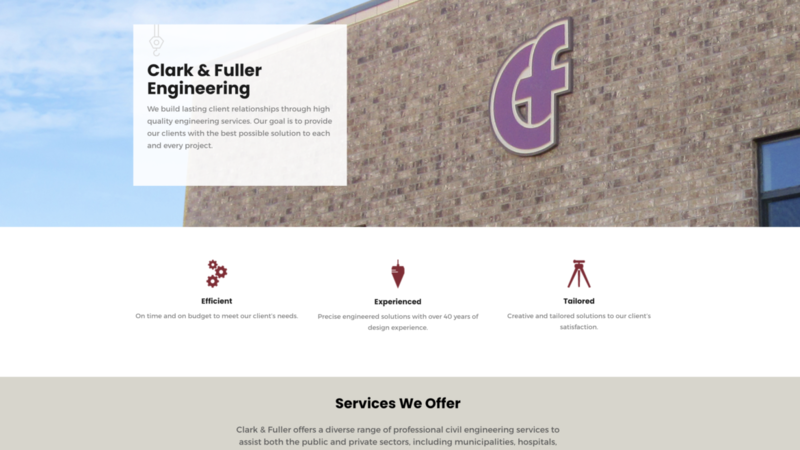 Clark-Fuller is a civil engineering consulting firm located in Temple. 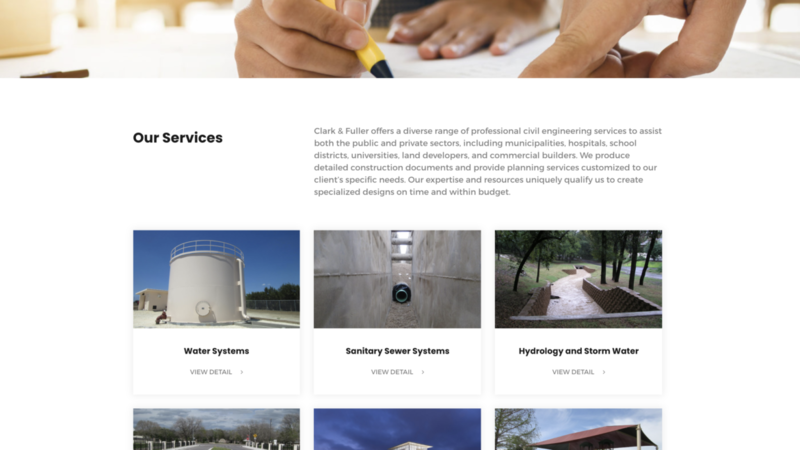 They have been a client since 2008 and we’ve worked on several projects for them. 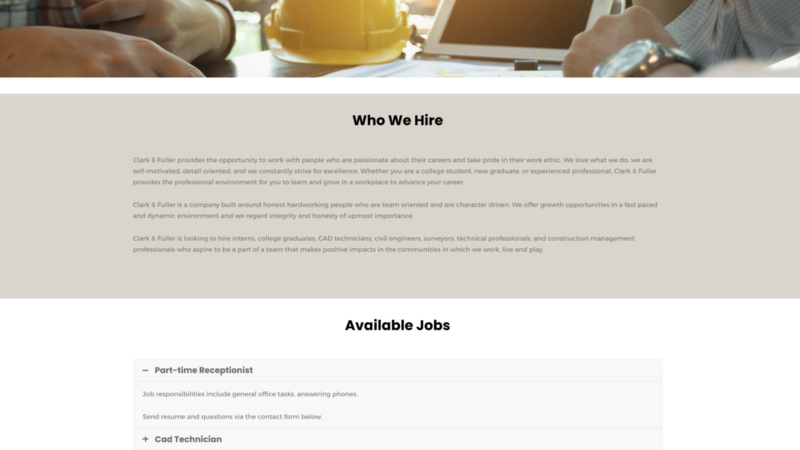 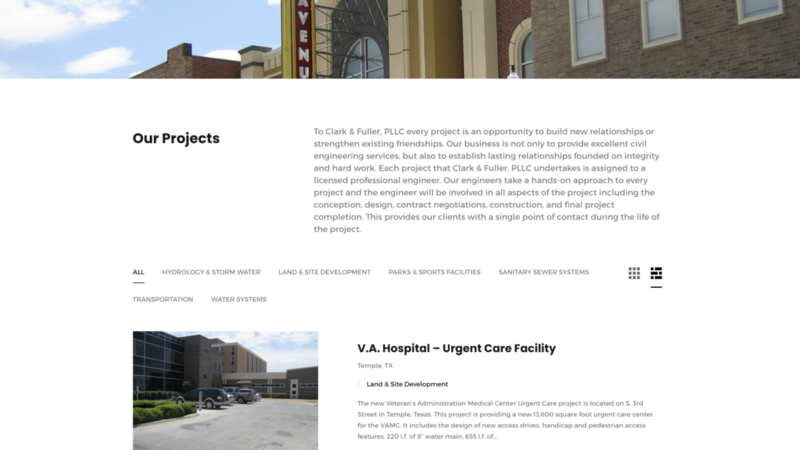 This is actually the second website we’ve built, this one a a responsive WordPress website which is easily edited by the Clark-Fuller staff and allows them to update projects.